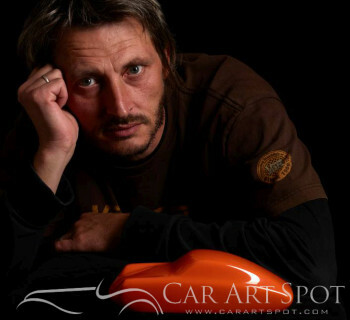 Niels van Roij is an automotive designer and artist. Ferrari is the brand of childhood dreams. I’d say that there is hardly anybody in the world who does not know the brand, says Niels. 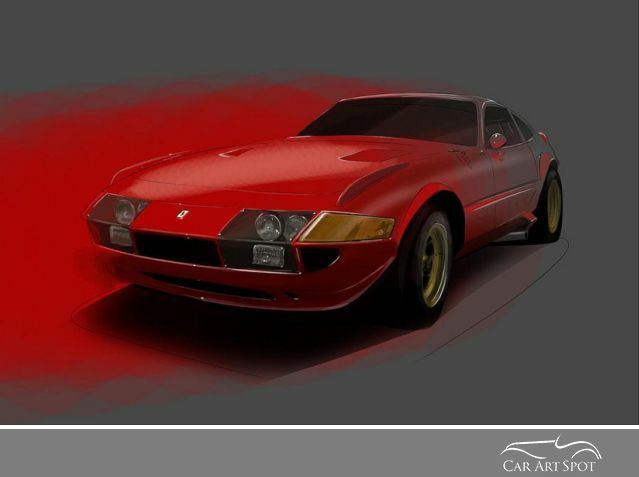 Find out what an automotive designer can learn from Ferrari. Niels how do you see Ferrari? Ferrari is the brand of childhood dreams. I’d say that there is hardly anybody in the world who does not know the brand. That is quite something. It also means it is the go to brand for a very large group of people once they can afford a sports car. So the downside is that perhaps Ferrari is not the most unique choice if you are in the market for such a vehicle. What do you think about the philosophy behind Ferrari? Ferrari is one of the few brands in the segment that is not actively working on an SUV, or at least they have not yet communicated they are interested in building such a vehicle. The Ferrari FF is the only four wheel drive vehicle they have on offer. What I want to say with that is that in general Ferrari stays true to the essence of the brand: they build great handling, emotional sports cars with great proportions and fantastic interiors. The FF just offers more boot space and a decent rear seat. The four wheel drive system makes it an excellent vehicle for winter sports or for using it in rainy London during winter time. It can actually put its power on the road because of the system. The FF is competing with cars like the Bentley Continental GT, it is a high end car that can be used as a daily driver. A great proposition and a true Ferrari still. 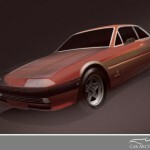 Niels, how would you translate the Ferrari success to Automotive Artists? 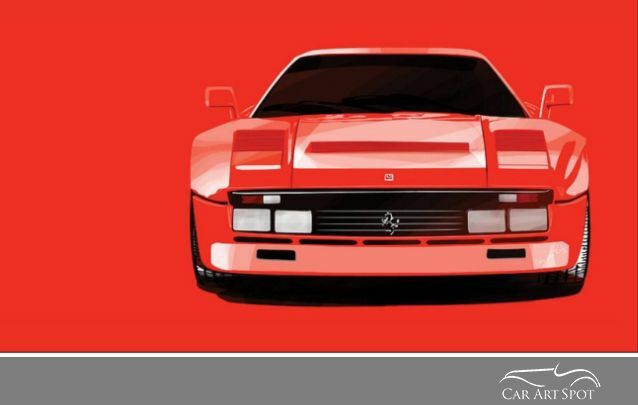 Do you think Ferrari could be an inspiration to the artists? Being honest, proud and sincere about heritage and about what the brand is, should be and will be, something Ferrari is extremely consistent about. No “easy” retro design, no SUV’s, no cheap alternatives – in any way shape or form. This honesty and sincerity is great – and a must. 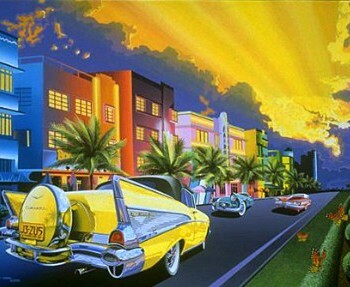 I’d say that is something any artist, or any automotive brand for that matter, can reflect upon and should look at. 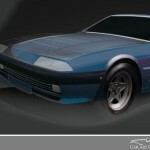 Staying consistent over the years builds the brand, adds value, whether you are a car brand or an automotive artist. Ferrari is the brand of childhood dreams. I’d say that there is hardly anybody in the world who does not know the brand, says Niels. Besides Ferrari cars, they have a separate branch selling products from shoes to watches. What are your thoughts on that? As long as the brand does this with a true link to their DNA, selling merchandise is only smart. Extra revenue is welcome at any manufacturer. Ferrari has a different fan base than, let’s say, Porsche. More young boys, and thus is their merchandise also directed to a wider target group. Do you have a favourite Ferrari model Niels? Absolutely! Well, quite a list actually. Ferrari has built some truly great and iconic cars. In my dream garage, which probably needs a fairly large airport parking garage size building to be completed, I’d love to have a couple of Ferrari’s. Both older models, modern cars and current ones. Let me list a few of what I believe are Ferrari the highlights. The Ferrari 599 GTB, or Gran Turismo Berlinetta. It replaced the 575M Maranello and is a great GT car. It is just gorgeous. It has fantastic proportions, great surfacing. 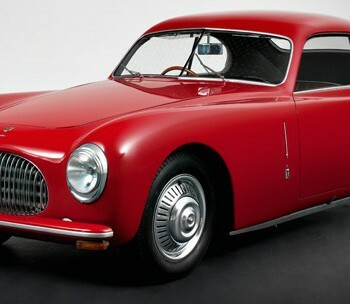 A classic Ferrari styled by Pininfarina under the direction of Ferrari's Frank Stephenson, who is now working at McLaren. The Ferrari F40 is a mid-engined, rear-wheel drive, two-door coupé sports car built from 1987 to 1992. Probably one of the most iconic sports cars ever. With its razor sharp angular styling by Leonardo Fioravanti this successor to the Ferrari 288 GTO, was designed to celebrate Ferrari's 40th anniversary. The Ferrari FF, meaning "Ferrari Four". I have mentioned the car earlier in this interview. It seats four and is a grand tourer presented by Ferrari in 2011 at the Geneva Motor Show. A break in some way with the past, as it is Ferrari's first production four-wheel drive model and the body type is a shooting-brake, a sporty estate car with two doors. But it is needed and a relevant way for Ferrari to react on demands from the market. It replaced the 612 Scaglietti, which I believe was not successful aesthetically, with a car that looks just great on the road and has a gorgeous interior. The Ferrari 288 GTO is one of the first super sports cars of the world. Again a great sculpture penned by Mr Fioravanti, this exotic homologation of the Ferrari 308 GTB. With its wider archers, the iconic double square fog lights in the bumper and the fantastic five spoke wheels it sits so lovely on, it is a perfect kinetic sculpture. I am a fan of the horizontal and angular approach and have made work featuring this vehicle. 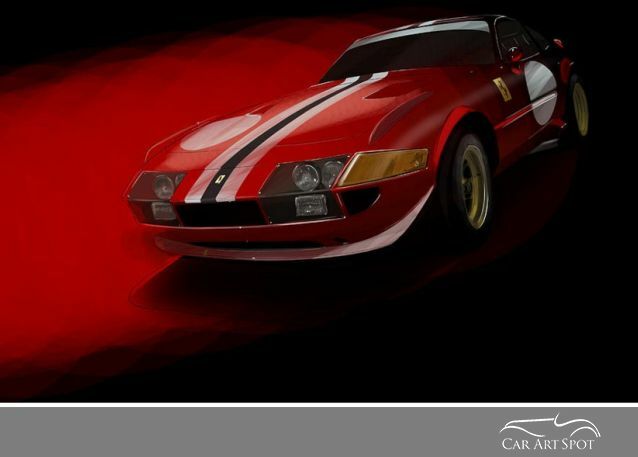 The Ferrari 365 GTB/4, or Daytona, a grand tourer is again a classic beauty. A clean, sharp vehicle, another Ferrari icon. Double rounded taillights on the angled rear end is unique and a true Ferrari. The Daytona was a great car to race, so I have made work featuring this vehicle both in normal and in racing trim. The Ferrari 550 Maranello is a front-engined V12 2-seat grand tourer. The car marked Ferrari's return to a front-engine, rear-wheel drive layout. It has lovely, sensual surfacing and some good links to Ferrari’s heritage – mainly the Daytona. The Ferrari F355 was built by Ferrari from 1994 to 1999 as an evolution of the Ferrari 348. Its replacement, the Ferrari 360, was a something completely different, more modern, but in my eyes not the best looking Ferrari. The mid-engined F355 has a horizontal architecture. Elegant, and a bit more rounded and softer than the 348. The Ferrari 458 Italia is another mid-engined sports car, replacing the F360 and F430. It has some of the cleanness of the F355 to it. That is great, because the rather awkwardly styled F360 and F430 lacked this refinement. The 458 is not shouting, doesn’t have too many air intakes and is free of any spoilers and other clutter. The Ferrari 400, also 365 GT4 and 412, are front-engined V12 2+2 grand tourers, made between 1972 and 1989. The three cars are closely related. I like how it is a true GT, with a spacious Ferrari by Niels van Roij Ferrari by Niels van Roij interior. The simple but very well balanced aesthetic is great. It links to the four seater four door concept car from 1980: the Pinin Concept. 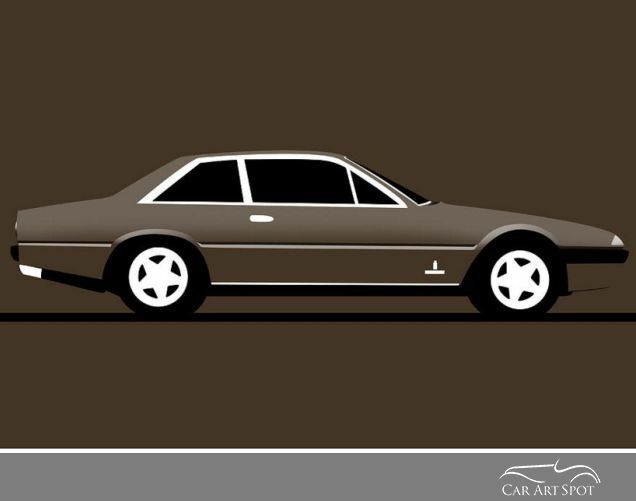 A shame Ferrari never decided to make this great big saloon. Anyhow, the 400 is a lovely GT with a balanced look. 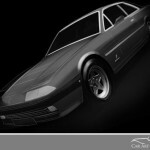 It was the first Ferrari equipped with an automatic transmission. One of my personal favourites, so featured this vehicle in a couple of the Ferrari colours.